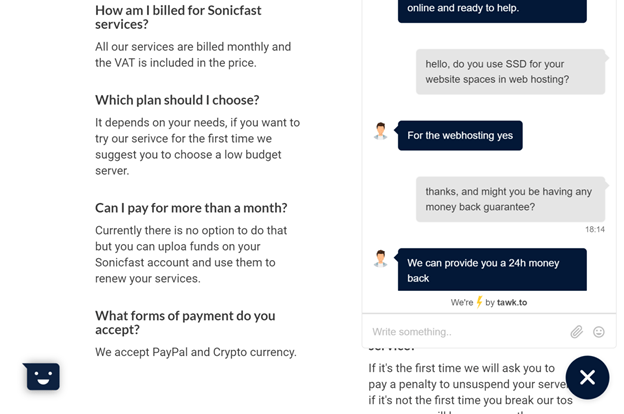 SonicFast Review 2019: Is SonicFast a Good Hosting? 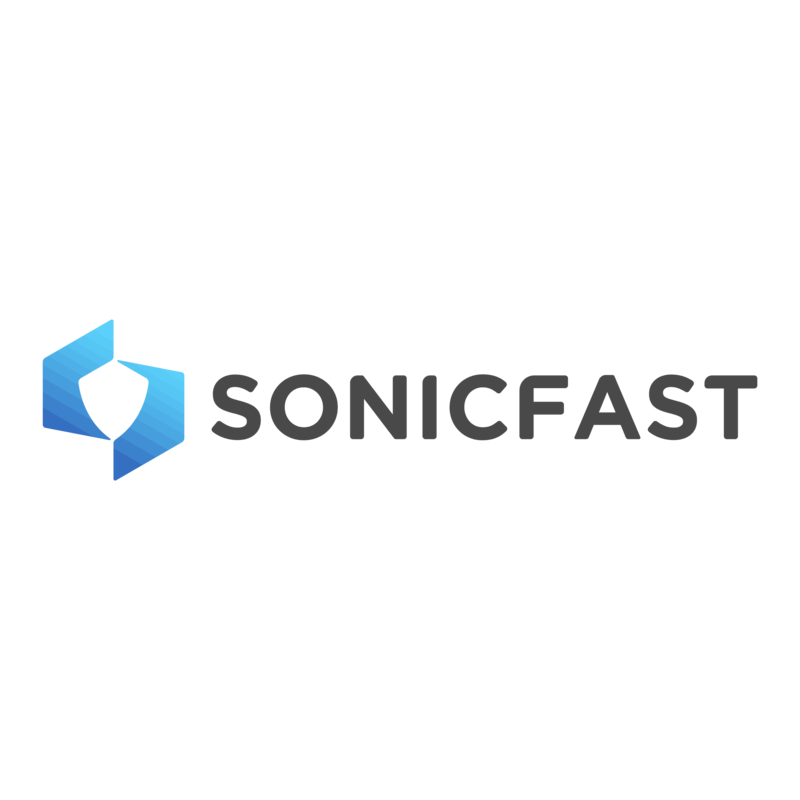 SonicFast provides super-fast SSD hosting backed by DDoS protection and 24/7 support. SonicFast operates as a brand of Infinity Boost S.r.l.s. It offers web hosting, VPS, and dedicated servers in multiple locations in the U.S., U.K., and Luxembourg. The SonicFast website is in English. The four web hosting plans start out with the Startup plan that has 500 MB disk space (which is pretty low), two email addresses, two FTP accounts, unlimited bandwidth, and two databases. At the other end of the scale, the Armored plan comes with unlimited everything apart from disk space which tops out at 30 GB. All web hosting plans feature the user-friendly cPanel control panel to manage your website and hosting. This comes with the Softaculous one-click installer that allows you to install 400+ additional applications. For security, the Corero Smart Firewall coupled with custom filters helps protect you against cyber attacks and DDoS threats. And you also get a free SSL certificate to give your customers confidence and improve your search engine ranking. Hosting plans are offered at good prices, but you have to add 22% VAT and a 6% service fee, but – according to the website – no upfront costs or termination fees. You can pay by PayPal, credit/debit card, or cryptocurrency. None of the plans feature unlimited disk space, and the entry-level plan doesn’t support multi-domain hosting, but you do get a free domain and a free SSL certificate. onClick="trackClickout('event', 'clickout', 'Vendor Page - Visit User Reviews', 'SonicFast', this, true);"
I currently have 2 KVM vps from sonic and I'm very satisfied. Ultra fast and very high performance, the price is low for the offered service and also thanks to their DDoS protection I can keep my projects online without worries. I recommend this hosting for small or large projects/websites. 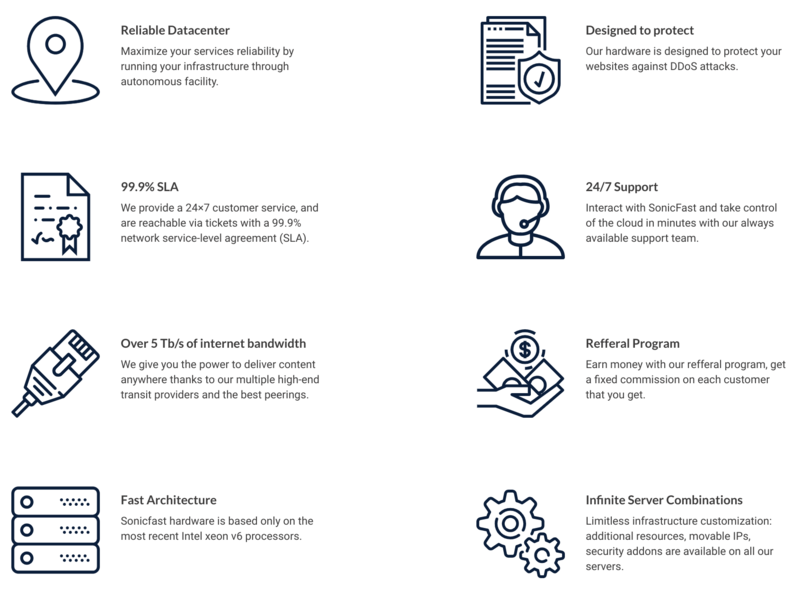 In addition to its web hosting packages, SonicFast also provides VPS, dedicated servers, game servers, and firewall services all backed by 24/7 customer support. Wondering how SonicFast stacks up against other Web Hosting companies? Enter any other Web Hosting company and we will give you a side-by-side comparison.